Earlier this year, California DMV has started issuing AB 60 driver licenses, which are available to California residents regardless of their immigration status. This change became effective on January 1st, 2015. AB 60 driver’s license can be used for personal identification and gives the right to legally drive in California but does not grant any other privileges. An AB 60 driver license looks the same as a regular driver’s license except for one feature. In the right corner, there is a pre-printed notation “Federal Limits Apply”. If you want to get AB 60 driver license, you need to prove your identity and residency in the State of California, pass the knowledge tests and behind-the-wheel driving exams. 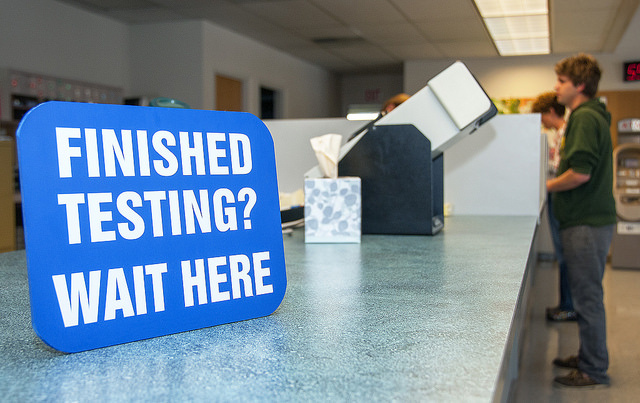 In order to apply for AB 60 driver’s license, you need to make an appointment or visit DMV office. On September 19, 2014 the California Department of Motor Vehicles released a statement detailing the progress it has made to date in order to implement Assembly Bill 60, operative January 01, 2015. 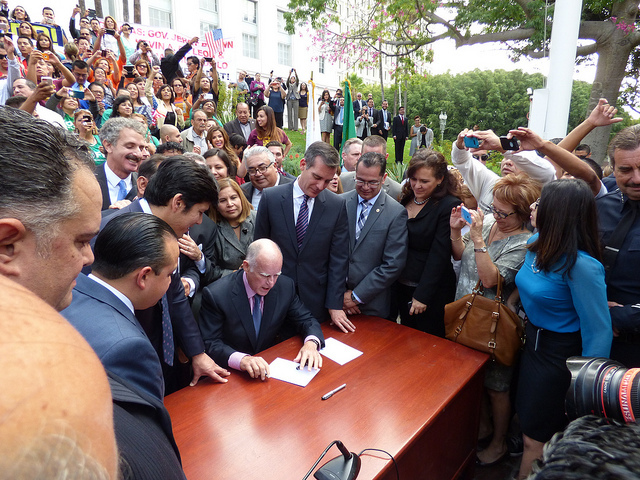 Assembly Bill 60 was signed into law by Governor Edmund G. Brown Jr on October 2013 for the benefit of all California residents. The bill promises to improve public safety, for all Californians, by requiring undocumented persons to go through the same licensure requirements as legal permanent residents and U.S. Citizens, residing in the state of California. In addition, applicants will be required to provide satisfactory proof of identity and California residency, though exact documentation requirements are still being deliberated and have not officially been made public. To view the proposals on documentation required please click here. The fee for the AB 60 driver’s license will remain the same as the fee for original driver’s licenses at $33.00. 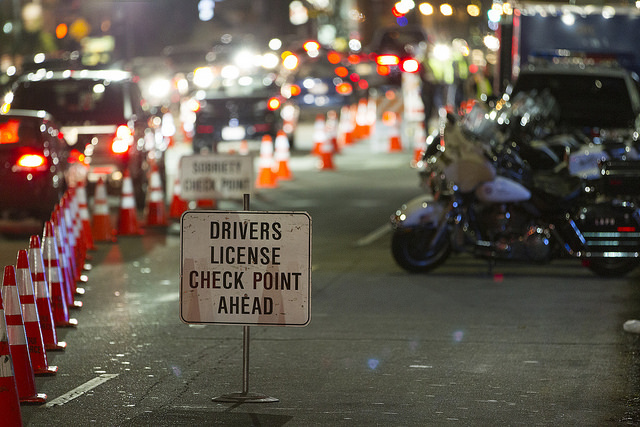 Before AB 60, applicants could not apply for a California driver’s license because of their inability to submit the required proof of legal presence in the United States. The Department of Homeland Security recently notified the DMV that the state’s most recent AB 60 driver’s license design had met the standard required to move forward to the production stage. Since its adoption, the California Department of Motor Vehicles has held over 80 public outreach events throughout California, educating local communities on the implementation of the new law. Additionally the DMV has hired new staff, organized department-wide training, and opened temporary offices, with the purpose of facilitating extra appointments for the nearly 1.4 million anticipated new driver’s that will apply during just the first three years of AB 60’s implementation. The DMV has launched such outreach events with the support of foreign consulate offices, community and church organizations, law enforcement, and other local officials. At these events the DMV has explained the licensing requirements under the new law, encouraged the undocumented community to study for the written driver’s license examination early on, and provided tips to the undocumented community on how to study for the exam.